Although there are many types of dishwasher models on the market today, it is easy to figure out how to remove the rack of your specific appliance. When you need to remove the the dishwasher rack from for cleaning or other maintenance, there may be a few different ways to unlatch it from the dishwasher. In most cases, there will be a small latch located at the back of the rack arms that will need to be manipulated in order to fully disconnect the rack from the dishwasher. 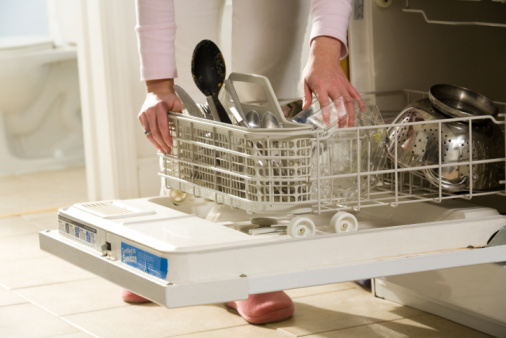 Don't hire a costly handyman when you can easily maintain your dishwasher yourself. 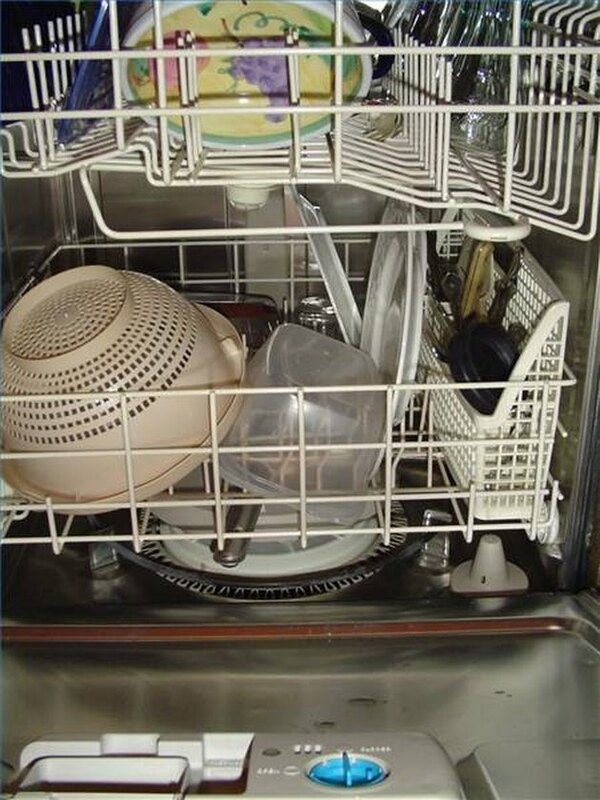 Open the door of the dishwasher as if a load of dishes were being loaded or unloaded. Pull out the top dishwasher rack. Inspect the rack arms to determine what will need to be done to unlatch them from dishwasher. There will be small latches located at the rear of the rack arms that keep the rack from fully being pulled out. In some cases, there may be no latches, and lifting up on the rack may unhook the rack. Push or pull the small latch located on both rack arms. Use a small screwdriver to either push on the latch or pull back on the latch. Avoid prying plastic latches in order to avoid breakage. While manipulating the latches, pull out the dishwasher rack until it slides out past the latch hook point.